Yesterday, Hillary Clinton offered a glowing endorsement of “longtime family friend” Terry McAuliffe in his second run for Governor of Virginia. McAuliffe certainly has been a good friend to the Clintons, having once made them a $1.35 million gift which, after becoming a scandal, turned into a loan. But the most interesting parts of McAuliffe’s history often go unnoticed, including his links to the security upgrades at the World Trade Center (WTC) in the late 1990s. Lockheed Martin subcontracted the PANYNJ work to Ensec in November of 1996. This was the same time that Carlyle Group executive and Iran-Contra suspect Barry McDaniel was hired to run operations for the highly suspicious WTC security contractor Stratesec. And just as Ensec obtained the contract to work alongside McDaniel and Stratesec, it added Terry McAullife as a director. Before joining Ensec, McAuliffe had been involved in a number of suspicious business dealings. For example, he was linked to Teamster related corruption. And he was also involved in a lawsuit regarding Loral Space, a company investigated for collaborating with and giving secrets to the Chinese for use in satellite and intercontinental ballistic missile programs. The charges against McAuliffe in the Loral Space scandal were that he agreed “to participate in this scheme to sell seats on taxpayer-financed foreign trade missions and other government services in exchange for campaign contributions to the Democratic National Committee (DNC).” McAuliffe also “played a central role in selecting trade mission participants and, on information and belief, securing other favorable treatment from the Clinton Administration for Defendant Loral.” Those who “prominently figured among those selected for participating in the high-profile Commerce Department trade mission to China was Defendant Schwartz, who would go on to become the single largest contributor to the DNC.” Bernard Schwartz was the billionaire CEO of Loral. The CEOs of Hughes Aircraft, Loral, and Lockheed co-wrote a letter to President Clinton, in October 1995, asking the president to “transfer all responsibility for commercial satellite export licensing to the Commerce Department.” Hughes was run by James Abrahamson at the time. Abrahamson would go on to be a director at Stratesec and later, with James Clapper, at satellite spy company GeoEye. Hughes, Loral, and Lockheed ended up paying enormous fines for illegal exports of advanced technology to China, and Hughes was charged with 123 counts of national security violations. But in 1996, Clinton did move oversight of the satellite exports to the Department of Commerce and the three CEOs thanked him publicly. 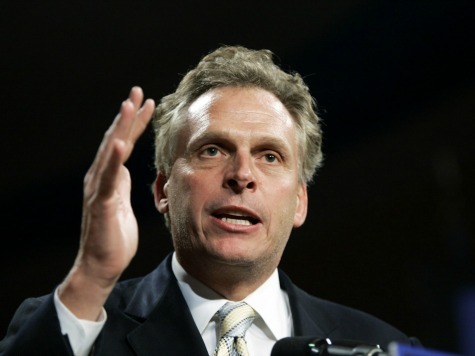 McAuliffe was linked to another company that was mired in scandal―Global Crossing. It was reported that McAuliffe purchased $100,000 in Global Crossing stock before the company went public and cashed out several years later for $18 million (some reports put it at a mere $8 million). Richard Perle was a lobbyist for Global Crossing, which was a partner in several deals with the Chinese company Hutchison Whampoa, called an “arm of the PLA [People’s Liberation Army].” Li Ka-Shing was the Chinese billionaire owner of Hutchison who invested in firms owned by Winston Partners and employed Winston cofounder (and Stratesec director) Marvin Bush’s brother, Neil Bush, as a consultant. The official U.S. investigations into 9/11 are over but some political cronies from the glory days of the Bush and Clinton administrations are still waiting in the wings. McAuliffe is one of those cronies and he has a suspicious background that includes unbelievable strokes of fortune and work for some apparently very powerful, international operators. Virginia residents might wonder what favors he’ll do for those old friends in high places if and when he becomes governor. I don’t know, however, if it’d make much difference if Gore had become President in 2000, for apparently didn’t say a word about Clinton’s two terms of being very war criminal and criminal against humanity in other respects. But, Bush didn’t win the 2000 election. I forget the title of the article I read years ago and that’s by Robert Parry, but here’re a some of his related pieces found with a new Web search. The following piece, which is linked in the above one, describes real rioting against vote recount(s) in Florida, organized by the Bush 2000 electoral campaign committee with Bush and Cheney being complicit. Some or many of the “rioters” were flown in to Florida for this plan for obstructing the vote recount, with all expenses paid by the Bush campaign. Actually, that index only has articles published from July 1999 to August 2002 and the Web search that provided the link for the Dec. 12, 2010 piece further above is evidently better. It was done using the following for search terms. One thing I don’t understand is that Parry says Gore won the national vote with around a half a million more votes than Bush, while Bush was given a “win” due to a false 537-vote lead in Florida; and that little lead also diminished, I believe due to some vote recounting having been successfully done. The vote recount struggle apparently was only in Florida and Floridians voted more in favor of Gore, but even if they had voted more strongly for Bush and he truly got the win in this state, then how could 537 defeat a national half million? It’s as if a single state could usurp national democracy. There’s something I’m clearly not understanding in thi. Here’s the most recent related piece I found. Mike, the answer you are looking for is the electoral college system? I guess you’re right about the electoral college system (ECS). It seems like a “screwy” system to me, but I wonder if direct popular vote would’ve made much of a good difference over the past 30 years and more. The now Governor of Virginia just gave Felons the right to vote. Macauliffe and Imelda Marcos Klynton are evil and corrupt. They are tied to each other at their hips. Fraud, corruption, insider trading and murder. They both should be in prison for life. They are the Bonnie and Clyde of the Millinium. Yes about 1000 companies have been registered at 3389, but it is still worrying. Ensec formed a partnership with a high corrupt Florida company called Cyberguard. As I understand it from reading sec filings, Ensec was marketing Cyberguard’s products in Brazil. A Cyberguard address 2000 Commercial Fort Lauderdale is near to an address used by the Ghazzawi family’s Tricon, 965 Commercial (3). The Ghazzawis have been accused of knowing the terrorists. I found people who are using both 965 and 2000 Commercial, which raised the possiblity they were interacting with one another.